What’s the deal with Dermal Fillers? Everyone knows about Botox, in fact more people are beginning to recognise just how safe Botox is however many people still have this fear of Dermal Fillers! Why is that? Why Would We Use Dermal Fillers? Using Dermal Fillers for lip fillers and cheek fillers can correct all of these and restore youthfulness to the face. Why are people afraid of Dermal Fillers? Most people are happy to get Botox as it is not something that has a drastic change to the way you look (more and more people are using preventative Botox). 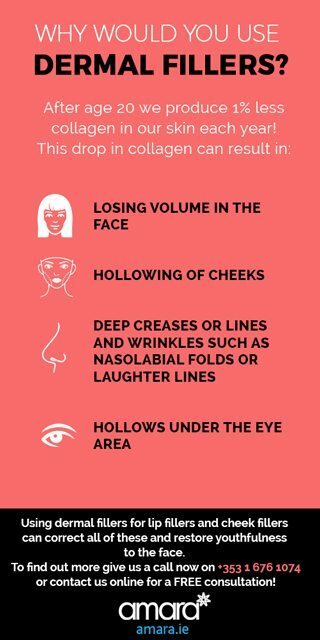 However Botox cannot restore volume or remove already deep lines such as Nasolabial fold lines – but when it comes to fillers some people panic and go ‘oh no I don’t want to go down that route’. We’ve all seen the horror stories of celebrities with swollen faces! When fillers are done well nobody can tell, you’ll look fresher like you’ve just had a HydraFacialMD or a holiday! Dermal Fillers make you look better for your age not like you when you were 15! Many of these horror stories are from doctors and patients that go too far or do not have a good technique! Many celebrities in particular are classic examples of going too far with dermal fillers. The aim is to look good for your age and look happy and healthy! Going with too much filler too fast makes it obvious that you’ve had dermal fillers as it gives you that swollen and unnatural look. Though this subtle result is exactly what we want, it prevents people from seeing the good results of dermal fillers! The majority of it comes down to your doctor and the product they use. I use fillers from the Juvederm range as they are Hyaluronic Acid based which can be naturally found in the skin. The Juvederm family of filler also contains a local anesthetic which minimises any discomfort. When it comes down to booking your consultation it so important to research your dermal filler doctor – do they have reviews? how long have they been performing dermal fillers? Are they the medical director of the clinic? Experienced and safe doctors will have all of this information clearly laid out for any potential clients. They will also never pressure a client into anything they are unsure about or do not need. Are you interested in dermal fillers? If so give us a call now on +353 1 676 1074 or contact us online to book in for your FREE consultation and find out if dermal fillers are right for you!